John Richmond is an English designer who has dressed the likes of Madonna and Mick Jagger. 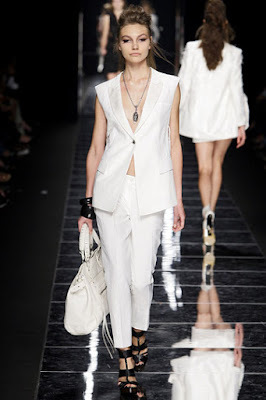 His Spring/Summer RTW collection has a definitive punk rock vibe to it, and yet it's very elegant. I love the pink and white pant suits and I'm mad about his blazer/t-shirt combinations.